Schools are out for summer! What would be better than to have fun while playing a game with friends under the Acropolis? 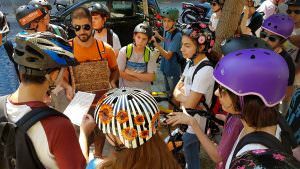 Recently, a group of students from Pierce College, chose to tour Athens on the electric Trikkes while playing the Athens Mystery team building activity . 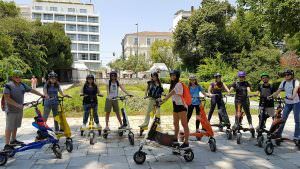 The two split groups marveled at the historical Athens grandeur and archaeological monuments, enjoying their time while riding the eco-friendly and fun to ride electric Trikke. An educational activity and fun at their best! The game comprised of solving “mysteries” by reading ancient Greek scripts at locations of interest and paying attention at hints in order to unlock the secrets of this ancient city. 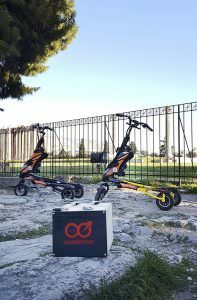 The teams utilized the Mystery Boxes which are carried by the Trikke vehicle of each team’s leader. 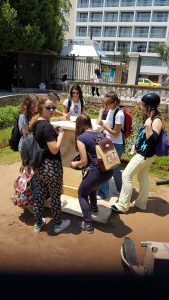 The Athens Mystery Tour involve high level of cooperation between the team members as well as healthy competition, making it an ideal choice for a corporate team building activity as well. For custom requests and activities you are kindly requested to send your inquiries at hello@scooterise.com.